EXDISPLAY Dell Thunderbolt Dock TB16 with 240W AC Adapter - UKSorry, this product is currently out of stock. The Dell Thunderbolt Dock TB16 -240W with Intel Thunderbolt 3 technology is the ultimate docking solution, designed for power users and traditional workstation clients, creating the ability to connect multiple displays. Data transfers up to 40 Gbps allow lightning-fast transfers of larger files such as video editing files. The Dell Thunderbolt Dock TB16 -240W can provide power to your laptop and can also provide power to attached Thunderbolt 3 peripherals. This version is best for Dell Latitude and XPS notebooks and 2-in-1s with a Thunderbolt 3 port (please check power requirements first). 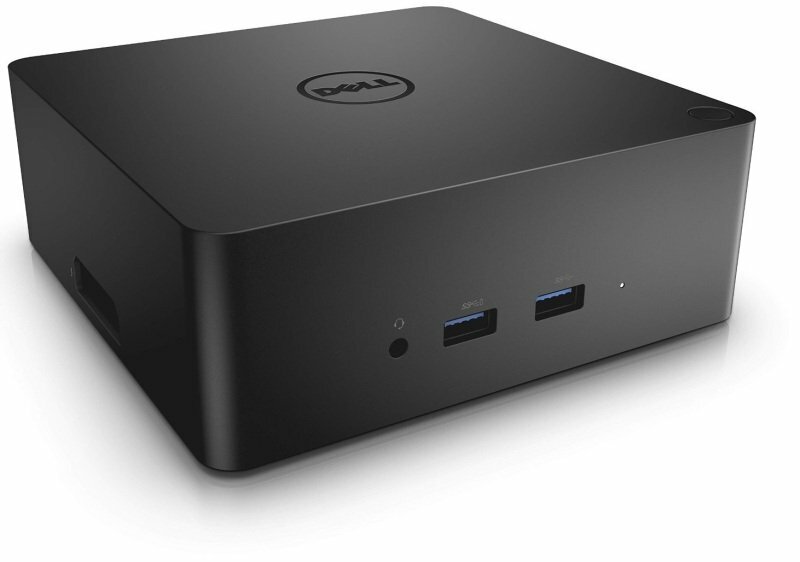 The Dell Thunderbolt Dock TB16 -240W is small in size - just 5.7 x 5.7 x 2 inches. By connecting one cable to your laptop, you can get access to a wide variety of ports, enhancing productivity.